WorkGold plate, covered with puti, light pink, firoza stone and meena work. Gold plated pendant set with ear-rings. 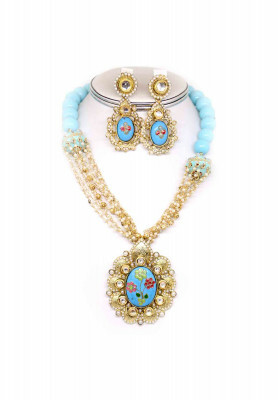 Comes with beads, light pink firoza stones and meena work. Goes best with bridal Sharee.